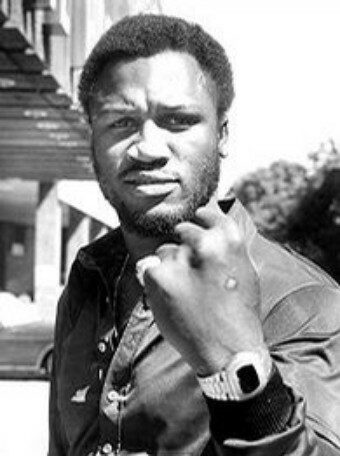 AKA - "Smokin Joe" was the Heavyweight gold medalist in the 1964 Olympics and turned pro the next year. He soon became the undisputed Heavyweight Champion of the World in 1971 when he beat Muhammad Ali by decision. Ali (AKA - Cassius Clay) was undefeated and was the former champ before being striped of the title for daft evasion in 1967. Frazier was the first fighter to ever knock down Ali and the first to beat him. Frazier was known for his devastating left hook. Joe was most likely the champ when this picture (right) was taken of him wearing a Pulsar P2. Frazier was the Champ from 1968 to 1973 until he lost a title fight to George Foreman. He would try to regain his title several times but he was never the champ again. Frazier would fight a famous rematch with Muhammad Ali in the Philippines in 1975. The fight is know as "The Thrilla in Manila" which Ali retained the title. The picture to the right is of Frazier with his gold P3 Pulsar. 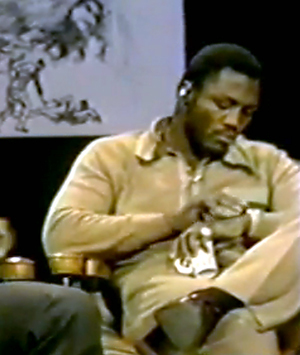 This is a screen shot of the ABC special promoting the fight between Frazier and Ali (sitting to the left of Frazier). 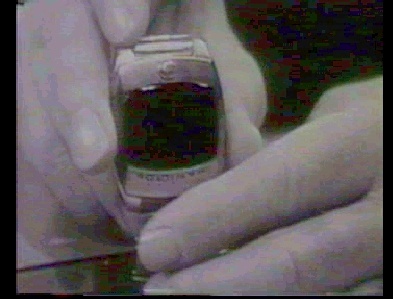 During the telecast, Frazier is seen frequently pushing the buttons on his Pulsar. At the end of the special the two champs nearly came to blows and ended up grappling on the studio floor. Commentator Howard Cosell apologized and ended the show. There was no love lost between the two that went on literally, until the end. Ali was in attendance at Frazier's funeral and gave his respects. Some say Frazier would have been nothing without Muhammad Ali. -- there are just as many that say Ali wouldn't have been what he was without Frazier. 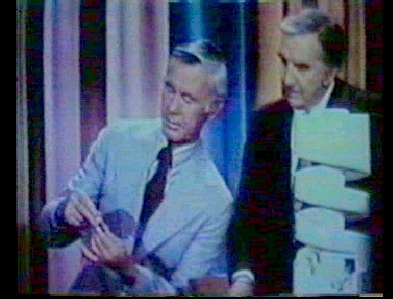 On May 5th, 1970 Johnny Carson was the first to show the world the very first LED digital watch, the Hamilton Pulsar. This was the watch that never made it into production but it all started right then. Back in those days no single person could endorse a product like Johnny Carson and I think credit is due here. 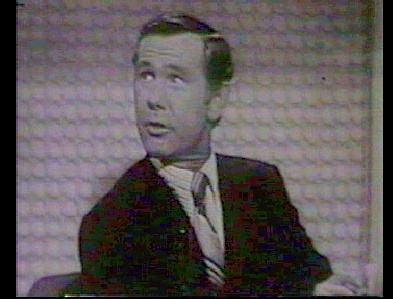 No advertising campaign could match the power of Johnny Carson reaching 30 million people around the world watching the The Tonight Show on any given night! Johnny's comment after introducing the Prototype and the plans for the production model the following year at a price of $1,500 was typical Carson." The watch will tell you the exact moment you went bankrupt "
Then in December of 1975 it was Johnny again, introducing the first Calculator watch to the world at a price of $3,950 for the 18k Limited Edition solid gold calculator watch. Once again he came up with a line most collectors remember the most. While holding up the watch he says......." If you have that much money you don't have to be on time anywhere! " and then just moments latter he says "Actually the secret to this is there's a tiny Japanese accountant in here "
Inventor of " The Chip", or most commonly known as the Microchip or IC (Integrated Circuit) died on June 20th. In 1958 while working for Texas Instrument Kilby had an idea to place several resistors, capacitors, and transistors together on a piece of silicone. This concept would soon evolved into a single chip that would serve as "The Brain" and would be installed as a component in a multitude of devices. Kilby was in the R&D lab by himself because he was one of the few employees that did not qualify for a two week vacation his first summer with the company. 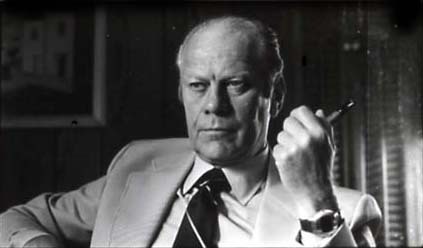 Kilby was involved in building the first computer incorporating an IC and was a co-inventor of the First Hand Held Calculator as well as the portable Thermal Printer. 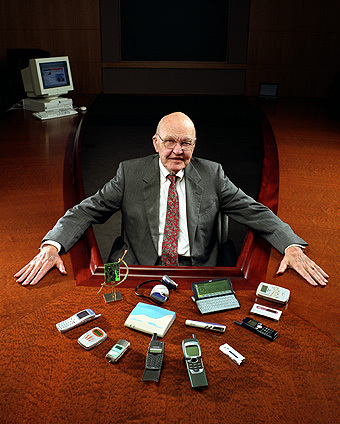 Every electronic device we use today most likely has a microchip thanks to Jack Kilby. Without Kilby the Pulsar LED digital watch would have only been a dream. The next time you look at that LED display, remember that "The Chip" decides every thing your watch does. In early 1959 Kilby filed a patent for his invention of a Miniaturized Electronic Circuit , he was granted a patent in 1964. Kilby owns more than 60 patents and was awarded the famed Nobel Prize for his invention of the Microchip in 2000. 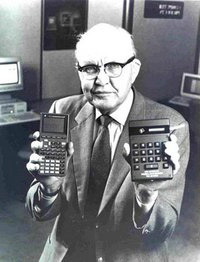 The link below will guide you through an enormous amount of information on Jack Kilby and his life long achievements. Interestingly, this invention has a familiar ring to it as others were working on similar concepts at the same time but the credit clearly goes to Kilby. "Answer" given by Alex Trebeck was "The Pulsar was the first all-electronic one of these and in 1972 this would have set you back $2,100"
Ken Jennings hit the buzzer first, his reply was........"What is a computer"....Alex! 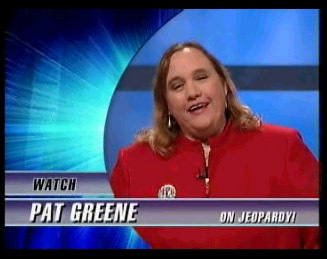 Alex Trebeck.........."I am sorry, that is incorrect"! 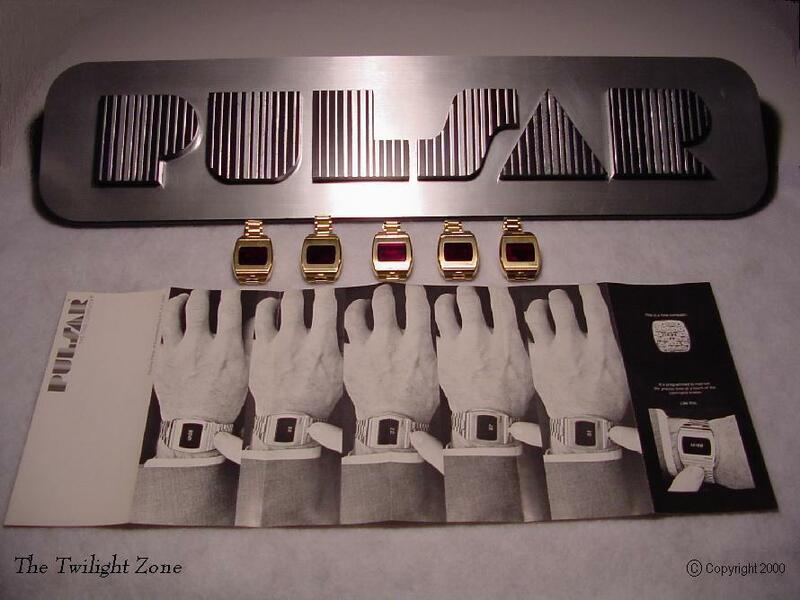 Pat Greene slaps the button and says "What is a Watch"
Alex Trebeck.........."That is correct for $800"
Folks in charge of the props for the production of the movie chose the redesigned original Pulsar P3 Date-Command for MIIB, the sequel to MIB! 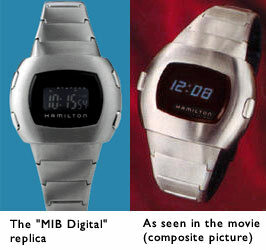 Hamilton, now a Swiss owned watch company used the original case and bracelet as a model for the watch to be used in the movie and latter marketed to the public in a limited production of 10,000 units. The Production models are not exactly the same as the watch worn by Tommy Lee Jones in the movie. 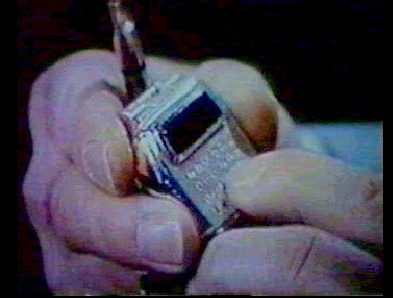 The movie prop had a enticing blue LED display and the classical two button style like the original Pulsar. The production model was made with a blue backlit LCD display. Somewhat of a disappointment to collectors but hey, we�ll take it! Thanks to Matt Strauss, artist, collector of Pulsar LED's and a friend of Ernest Trova for the sketch Ernest Trova made for Hamilton. Mr. Trova has said that while he did contract with Hamilton to design the watch, the first prototype watch was not the watch he designed. As far as he knows the watch design he submitted was never fabricated. His 1970 design was based on the shape of a spaceman. I have asked him many times if he still had his design for the watch and he has not been able to find anything until just this week..." says Matt." This picture was taken of five of the twelve known rare 18k Limited Editions by a collector while the watches were in his possession for restoration. Not since 1972 have there been this many of this model Pulsars under the same roof. All five are in mint condition and are working perfectly. This photo was taken on October 3rd, 2000 with an original brochure and original Pulsar sign. Although more Limited editions exist, only twelve owners have come forth to date. This picture has been named "The Twilight Zone". Jean M. Wuischpard . . . . the man who designed Pulsar! Pulsar icon, Tom Reindl, A.K.A. Pulsar Tom passed away in April. Tom was by all means the first true dealer for collectors of Pulsar LED watches. As a member of the NAWCC, he started to see an interest in Pulsars from Asian enthusiasts attending the shows in the 80"s. Through the 80�s and 90�s, if you collected Pulsars, you dealt with Pulsar Tom somewhere along the line. After Tom�s stock of completed units dwindled, he dabbled in providing parts for collectors and enthusiasts for most of the 2000�s. 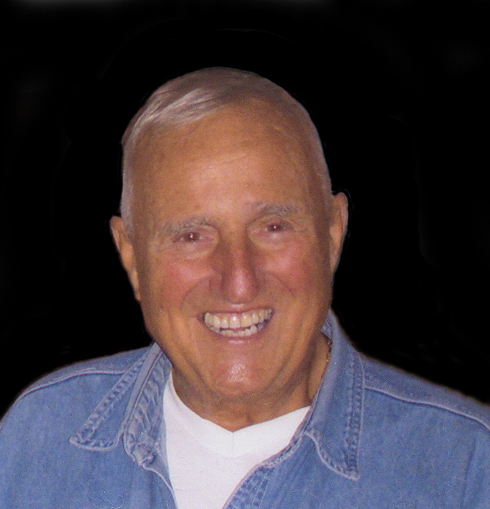 I met Tom in the early 90�s and spent time with him over the years at his winter home here in Florida. He was a kind and generous person that always managed to sport a smile. I will miss his friendship and that perpetual smile.